Murdoch attacked at MPs' hearing Jump to media player Rupert Murdoch has been attacked by a man wielding what was thought to be a shaving foam pie, at a hearing by MPs. Who 'attacked' Rupert Murdoch? Jump to media player Nick Robinson describes the moment Rupert Murdoch was 'attacked' while giving evidence to a Select Committee in the phone-hacking row. 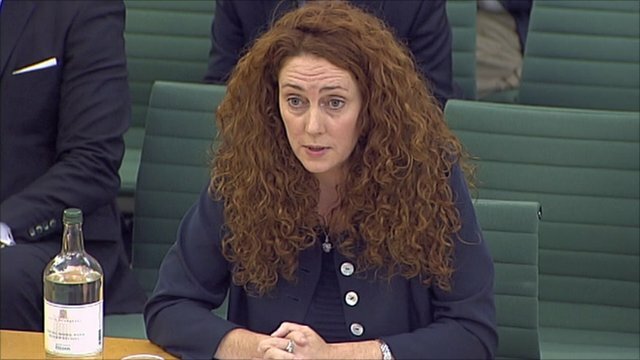 Brooks: 'I never paid police' Jump to media player The former chief executive of News International Rebekah Brooks, has told MPs she "never knowingly sanctioned payments to a police officer". 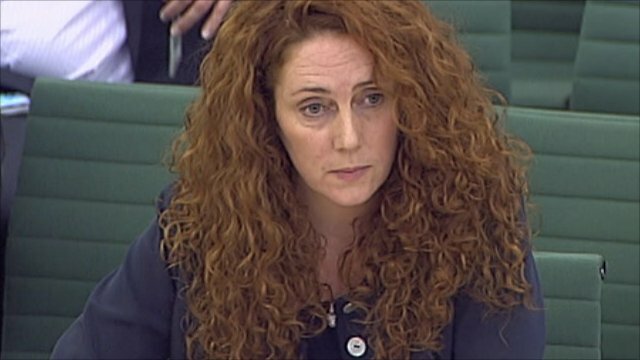 Brooks on Milly hacking claims Jump to media player Former editor of the News of the World Rebekah Brooks has said she would take responsibility if it is proved Milly Dowler's phone was hacked by the paper. 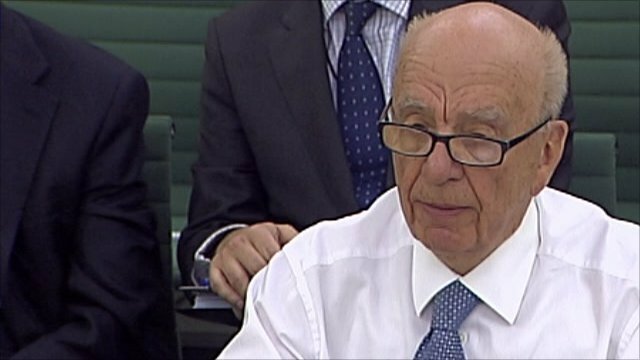 Murdoch struggles at MPs' hearing Jump to media player Rupert Murdoch has said he was unaware of some of the serious allegations against the News of the World, when faced with a series of questions from Labour MP Tom Watson. 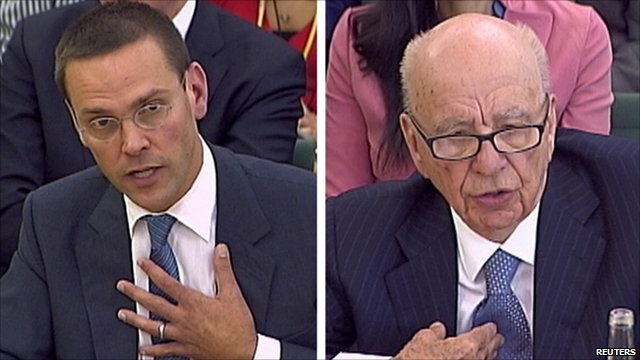 Key moments as MPs grill Murdochs Jump to media player Rupert Murdoch, his son James and former chief executive of News International Rebekah Brooks, have appeared before a committee of MPs to answer questions about allegations of phone hacking. 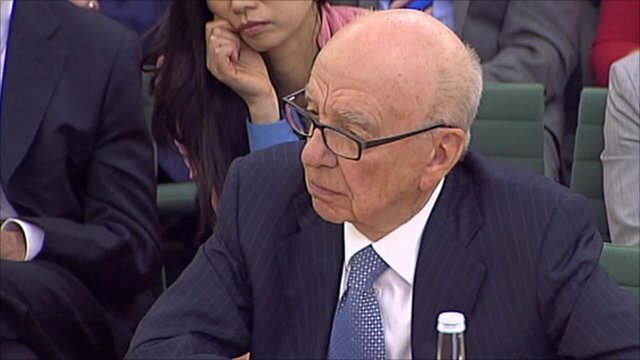 Murdoch 'shocked' by Milly 'hacking' Jump to media player Rupert Murdoch has said he was "appalled and ashamed" to learn that the phone of Milly Dowler had been hacked by the News of the World. 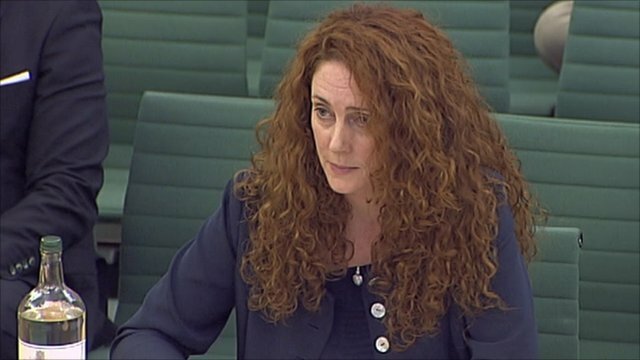 Brooks: 'We acted decisively' Jump to media player Rebekah Brooks has told MPs that News International acted "quickly and decisively" once it had discovered the extent of hacking. 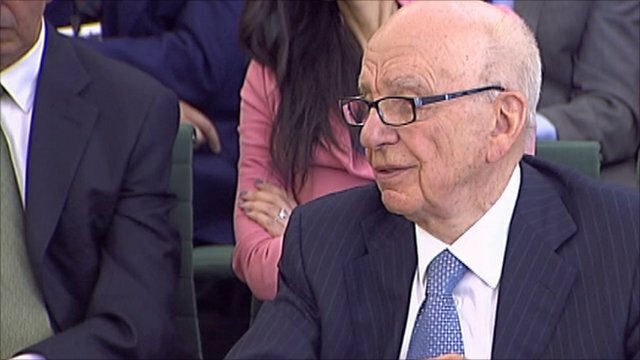 'The most humble day of my life' Jump to media player Rupert Murdoch has said his appearance before MPs to answer questions about phone hacking is the "most humble day of his life". Murdoch's back door invites to No 10 Jump to media player Rupert Murdoch recalled entering Downing Street by the back door to meet David Cameron and celebrate the 2010 general election result. 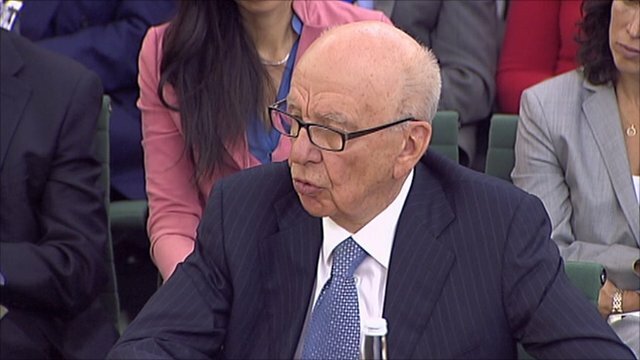 Murdoch 'sickened' by hacking claims Jump to media player Rupert Murdoch apologised for the actions of the News of the World as he read a statement which ended three hours of evidence to MPs. 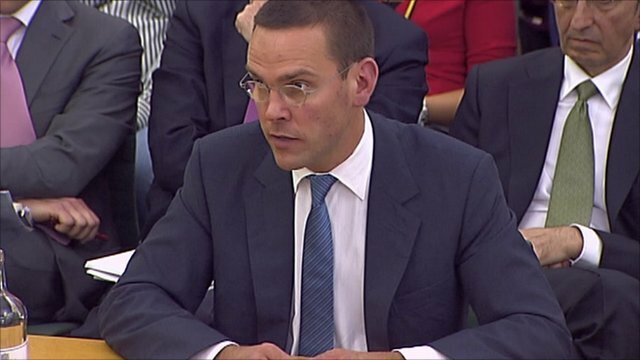 Murdoch 'shock' at Mulcaire fees Jump to media player James Murdoch has said he was "shocked" to learn that some of Glenn Mulcaire's legal fees had been paid by News International during the course of civil actions. 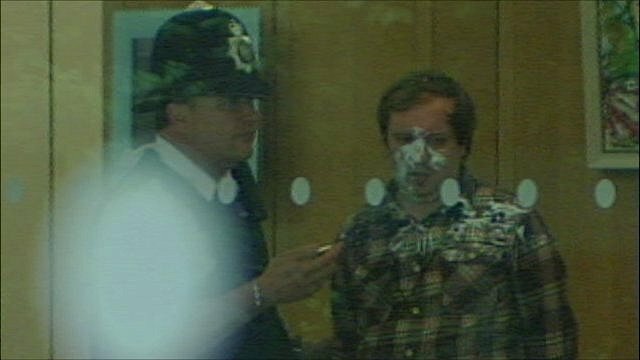 Rupert Murdoch has been attacked by a man wielding what was thought to be a shaving foam pie, at a hearing by MPs. His son James appeared shocked as the man carried out the attack. Rupert Murdoch's wife, Wendi Deng, wearing a pink jacket, leaped to her husband's defence hitting out at the assailant, before the hearing was suspended. Go to next video: Who 'attacked' Rupert Murdoch?